One Laptop Per Child Association in collaboration with Agahozo-Shalom Youth Village (ASYV) proposed, planned and is implementing a training that focused on the holistic development (cognitive & social) for its students in senior six and five. 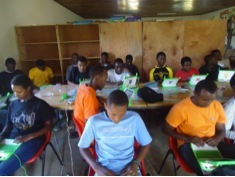 This Training aimed to strengthen the ASYV student’s knowledge on the use of OLPC laptop for deep learning, lesson planning and implementation of project based learning activities. After 1994 genocide in Rwanda, one of the biggest problems Rwanda faced was the vast number of orphans with no systemic solution to support their well-being and development. Anne Heyman and her husband Seth Merin (living in New-York City) were inspired by the similar challenge that Israel faced after the Second World War, when there was a large influx of orphans from the Holocaust. As solution to the problem Israel built residential living communities called youth villages. This is the model residential living communities brought to Rwanda by Anne Heyman, Agahozo-Shalom Founder. 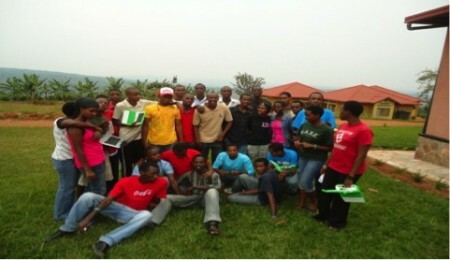 Called “The Agahozo-Shalom Youth Village (ASYV)” is a residential community in rural area in Rwanda. It is a home to youth who were orphaned during and after the genocide in 1994. Its mission is to enable orphaned and vulnerable youth to realize their maximum potential by providing them with a safe and secure living environment, healthcare, education and necessary life skills. ASYV aims on developing students both cognitively and socially. Village education focuses on both Formal Education (schooling) and Informal Education to expand each student’s talents, skills, and capacity to become not only functioning members of society, but leaders of their communities. This is where ASYV’s education aligns with OLPC’s learning philosophy and approach–using mobile technology to empower each student’s individual learning process in some of the most remote and difficult conditions. With connected laptops, learners are liberated to actively engage with others with similar interests in cultures of learning by doing without being limited by time or space. Children can learn by teaching, actively assisting other learners and freeing the teacher to focus her experience and expertise where most needed. It was seen as an opportunity for this village to benefit from this learning approach, which will enhance all the great initiatives already in place. 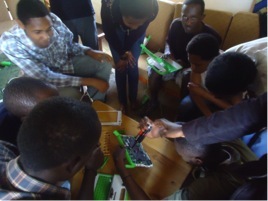 Trainees explore sugar learning environment, diagnosed and solved different hardware and software problems, as well as disassembling and assembling the XO. 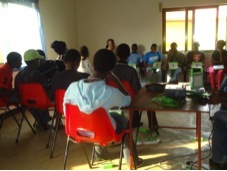 At the end of the first phase of the training (August 10th) all trainees were going to vacation, they have been assigned to different schools received olpc laptop in previous deployment done by the government of Rwanda in 30 districts of the country. They will be helping the project with the upgrade of the anti-theft key, as they will be introducing kids and teachers at schools nearby their homes on the use of xo laptops. The Training will continue after they come back from vacation to reinforce trainee’s capacity of planning and conducting trainings for teachers.